Nokia CEO Stephen Elop had a keynote at the Open Mobile Summit in London today. He talked about various aspects of the industry, which you can read courtesy of mocoNews. Apple in 2007 introduced a high water mark in terms of saying, 'This is what users expect'…But Apple did this in a very Apple way. It was closed. Apple created Android, or at least it created the conditions necessary to create Android. People decided they could not play in the Apple way, and they had to do something else. Then Google stepped in there and created Android… and others jumped on the Android train. We've known why companies and consumers have been choosing Android over iOS for a long time now, but it's still something to hear such praise from the competition. Elop understands the mobile industry quite well, and it's refreshing to hear a CEO talk about it in such a sincere fashion. Just a week ago, there was talk that Microsoft would buy the Finnish company. Elop ended up having to publicly call the rumor "baseless" in response to constant questions. This week, the rumor mill claimed Samsung was interested in buying Nokia. Once again, stepped in to say that Nokia is not being acquired by a company. "All those rumors are baseless," he said. "Nokia is not for sale." Despite Elop's comments about Android, he still didn't choose the platform. 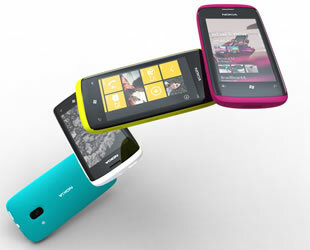 Four months ago, Nokia announced that it was choosing Microsoft's Windows Phone as its primary smartphone platform. Two months ago, Nokia and Microsoft finally signed a definitive agreement regarding their global mobile ecosystem partnership. It's generally accepted, however, that Windows Phone is not selling well. AT&T Mobility CEO believes things will start to pick up with Windows Phone 7.1 (codenamed Mango) and as the Windows Phone Marketplace gains more apps. Elop's explanation is a bit different. "Windows Phone scores better than Android and iPhone with consumers, but OEMs are doing their best work for Android," he explains. "For Nokia our best work will be for Windows Phone. You will see waves of families of devices that deliver on the promise of Windows Phone 7." The success of Windows Phone is not only critical to Microsoft, but to Nokia as well. Even if the two companies fail in their mission, this is good news for the mobile industry as competition will only get more and more fierce.